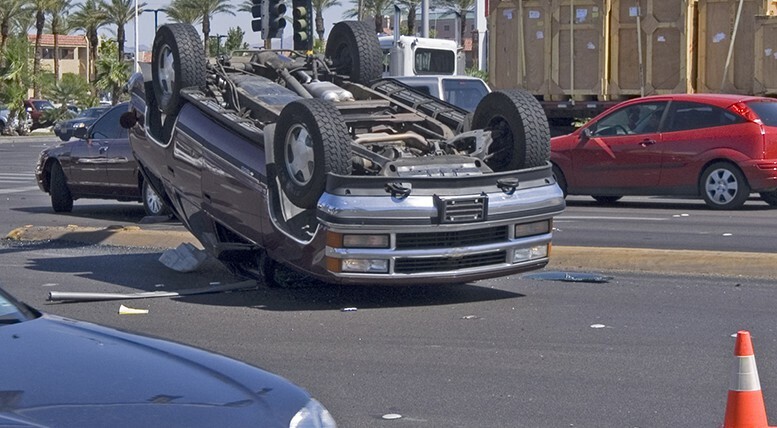 Rollover accidents are some of the scariest – and deadliest – car crashes there are. They are also some of the most challenging cases to handle, because they usually involve only one car. That means that many insurers will assume that driver error is the root cause of the accident, and they will use that assumption to deny your claim. At the Rocky McElhaney Law Firm we understand the complexities that go along with investigating rollover accidents. We work with accident re-constructionists who can look at the wreckage, the road conditions and every other contributing factor and help us determine what led to the incident. We stop at nothing to discover the cause of the accident and help you get compensation when someone else’s negligence caused your car to rollover. According to NHTSA data, rollover crashes account for 33% of all passenger vehicle fatalities. More than 10,000 people are killed each year in vehicle rollover crashes in the U.S., and 85% of rollover-related fatalities are the result of single-vehicle crashes, which points out the significant role the driver’s behavior plays in these kinds of accidents. So what contributes to a rollover? Vehicle type. The taller and narrower the vehicle the more likely it is to rollover. Vehicles with a higher center of gravity such as vans, SUVs, and pickups are more prone to rolling over in a single vehicle crash. Speed. More than 40% of fatal rollover crashes were attributed to speeding, and the majority of rollover accidents take place where the speed limit is 55mph or higher. Alcohol. Almost 50% of rollover vehicle crashes involve alcohol. Defective suspension. The vehicle’s suspension system provides stability for the vehicle. If the suspension system fails it can cause the driver to lose control and cause the car to flip over. When you have been injured in a rollover accident, you need the services of an experienced car crash lawyer who knows how to handle these complex accidents. At Rocky McElhaney Law Firm we get to work investigating the accident and finding out what caused the crash. We help you get compensation for your medical bills, lost wages, pain and suffering and any other losses you might have suffered. Getting your life back on track after an accident can be a challenge when you have been injured. At the Rocky McElhaney Law Firm, we do everything within our power to make sure you get the best settlement possible. You can schedule a no-obligation consultation with us today by calling 888.619.4765 or by filling out our contact form. We are proud to serve clients in Nashville, Hendersonville and Knoxville and throughout East Tennessee.